"The staff speaks good English." Have a question for Hoang Yen Hotel 1? 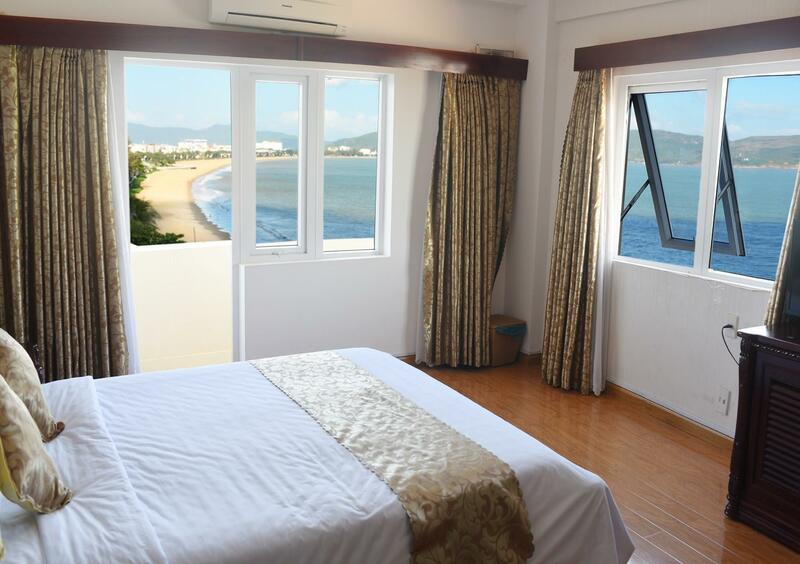 For travelers who want to take in the sights and sounds of Quy Nhon (Binh Dinh), Hoang Yen Hotel 1 is the perfect choice. From here, guests can enjoy easy access to all that the lively city has to offer. With the city's main attractions such as Queen Beach, Quy Nhon Beach, Provincial Hospital within close reach, visitors to the hotel will just love its location. Hoang Yen Hotel 1 offers impeccable service and all the essential amenities to invigorate travelers. The hotel provides 24-hour room service, free Wi-Fi in all rooms, Wi-Fi in public areas, valet parking, car park to ensure our guests the greatest comfort. The hotel features 93 beautifully appointed guest rooms, many of which include internet access – wireless, internet access – wireless (complimentary), air conditioning, desk, mini bar. The hotel's recreational facilities, which include outdoor pool, massage, steamroom are designed for escape and relaxation. 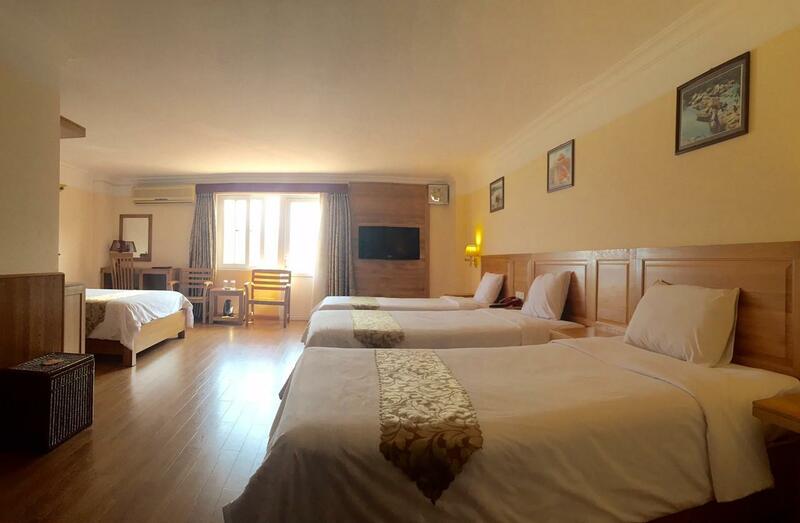 Hoang Yen Hotel 1 is your one-stop destination for quality hotel accommodations in Quy Nhon (Binh Dinh). 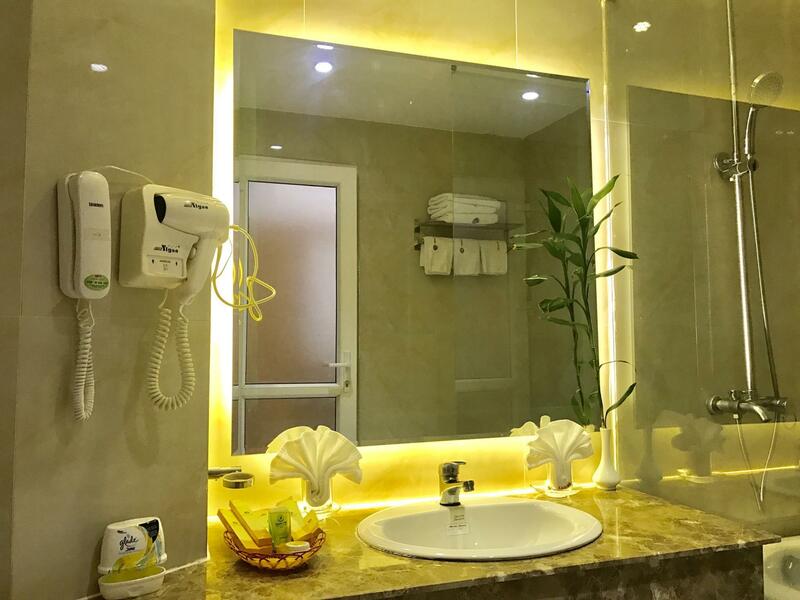 Although the hotel is very well located in front of the beach and the staff is very nice and attentive, the room furniture, the facilities and the hotel maintenance were disappointing. It looks like any improvement has been made for many years. The breakfast buffet also can be improved a lot. Beautiful room and hotel in front d beach but no direct exit to d beach and horrible massage. Large restaurant and large outdoor cafe, but swimming pool is small. This hotel is not a good value for the money. The Seagull Hotel next door has better rooms, staff and food for the same price if you can book in advance. The spa was unclean and had dead bugs on the floor. The massage itself was downright painful and the girl aggressively asked me to pay her extra after it was done. The breakfast buffet was mediocre and the food was often lukewarm. Also, the tubs aren't actually secured into the bathroom floor so water gets under it and leaks everywhere. The only real benefit was the beachfront room. I could hear the ocean the whole time and it was great. The staff speaks good English. Our room was deluxe with ocean views which were fantastic, but the room was a little tired, but was clean. The breakfast buffet was varied and a chef cooked omelettes as required. The hotel massage was poor and best avoided. Also the hotel swimming pool was dirty and uncared for which is a great shame because it is a pleasant area to sit and have a drink. no complaints. just a stop over for the night for business only. This grand old dame is a little dated, however rooms are spacious, the breakfast has an adequate selection, the pool was clean, (contray to other reviews) you get an ocean view, (even from the rooms on the side of the building) and it's literally on the beach. The downsides - peeling wallpaper in the bedroom, the hit and miss connectivity of the WiFi and a musty smell, (carpet). Honestly, I'm sure you'd find much cheaper options just across the road, in the new budget hotels. We booked Standard room but moved to VIP room. The standard room was small and run down, but the VIP room was spacious and comfortable. Our friends stayed in family room said it's also spacious and clean. Overall we enjoyed our stays, the staffs were friendly, the breakfast buffet was good. Feel convenience, with good breakfast, but quite far from airport, and no car pick up to air port. anyway, it is near beach, we can swim after work. we had a decent size room with a good view of the beach and ocean. breakfast was fine. the swimming pool at the pool wasn't very clean so we didn't use it.